LocalGov new has reported on how the collapse of Dawnus Construction could be a ‘Welsh Carillion’. The £170m-turnover company hit the headlines earlier this week after workers abandoned diggers in Manchester amid claims they had not been paid. 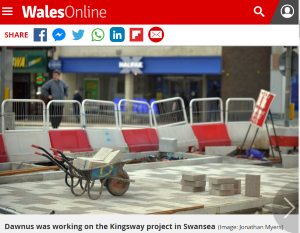 Work on Swansea’s £12m Kingsway redevelopment has also ground to a halt amid fears the company could be the ‘Welsh Carillion’ – referring to the giant construction company that went bust early last year.